Shiv Shankar Menon says they were not publicised because they were not aimed at domestic constituencies. Operations across the Line of Control (LoC) were not publicised in the past, before the September 28 strikes, because they were not aimed at domestic constituencies, former National Security Adviser Shiv Shankar Menon has said. However, in the first comments made by a senior member of the UPA Prime Minister’s Office (PMO) on the issue, Mr. Menon also said he had no regrets about not announcing previous strikes, as they had different “goals” in mind. “Covert operations were not announced to the country because the primary goal was to pacify the LoC and cut down infiltration and ceasefire violations, not to manage public opinion at home. 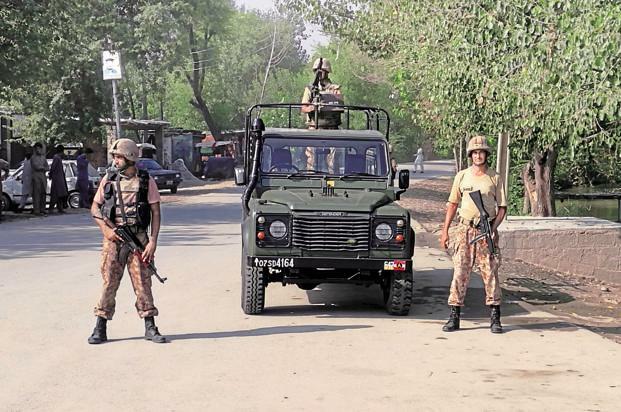 By keeping operations covert rather than overt, it was made possible for the Pakistan Army to climb down and for a temporary peace to be re-established,“ Mr. Menon said in written replies to The Hindu. Mr. Menon’s remarks are significant as the controversy around the government’s decision to announce cross-LoC strikes by the Army, grows. On September 29, the DG of Military Operations Lt. Gen. Ranbir Singh announced at a press conference that Army commandos had carried out a number of “surgical strikes” “along the Line of Control” inflicting significant damage on terror launch pads in Pakistan-occupied Kashmir (PoK). Mr. Menon said the response to the Uri attack “had been handled as well as can be expected,” and was possibly necessitated by a sharp increase in ceasefire violations, infiltration attempts, and attacks by terrorists from Pakistan in the past 18 months compared to the decade following the 2003 ceasefire that was announced by Pakistan’s former President Pervez Musharraf and India’s former Prime Minister Atal Bihari Vajpayee. Compared to 1,373 infiltration attempts in 2003, figures had reduced to about 277 in 2013. From ARMY Magazine, Vol. 66, No. 9, September 2016. Copyright © 2016 by the Association of the U.S. Army and reprinted by permission of ARMY Magazine. By the end of August 1944, Gen. George S. Patton Jr.’s Third Army had left a swath of destruction across Europe. They had captured or destroyed over 4,300 German tanks, artillery pieces and vehicles while losing fewer than 500 of their own tanks and artillery. Even the death toll was lopsided. As of Aug. 23 of that year, the Germans had lost 16,000 soldiers, killed at the hands of III Corps, compared to approximately 2,000 U.S. service members killed in action. Patton’s rapid 500-mile trek across Europe can be summed up in one word: Attack! The speed at which he moved left the Germans confused, and it paved the way for the Allies’ race to the Rhine. Almost 60 years later, in the summer of 2002, retired Marine Corps Lt. Gen. Paul Van Riper led the opposing force during Millennium Challenge, a joint forces exercise simulation. He played the role of a rogue Middle Eastern commander whose technological capabilities paled in comparison to those of the U.S. The purpose of Millennium Challenge was to validate a new way in which the U.S. military fought. During the 1990s, leaders thought that technology would lift the fog of war and allow U.S. commanders to see first, understand first, then act decisively. Van Riper’s performance during the exercise proved that the contemporary U.S. way of warfare was inconsistent with the nature of war. He used asymmetric methods to counter technological dominance, couriers instead of cellphones to communicate among his forces, World War II-era practices to get his airplanes off the ground when his communications systems were knocked out, and a surprise attack on Navy ships—which would have killed approximately 20,000 service members and sunk 19 ships. His technologically inferior force outthought and outfought the U.S. military in the exercise. While Van Riper and Patton served in different capacities and in different eras, they both dominated the battlefields where they fought. One reason was that both complemented their experiences with a lifetime of self-study, gaining an understanding of war and warfare and thus, developing “mental models” that allowed to them to outthink, outsmart and outfight their opposing commanders. These mental models were the foundation of their competitive advantage, and their personal examples should provide leaders with the impetus to adopt the same practices in their own careers. Mental models or schemas are prerecorded bits of information stored in our brains that enable us to quickly understand the world. They also influence how we take action. Mental models are developed through a lifetime of personal experiences and education. They are the reason two individuals can look at the same information, or two commanders can look at the same terrain, and draw two very different conclusions. The types and variances of experiences, and how we make sense of them, will determine how our mental models are shaped. Even military strategist Carl von Clausewitz commented on the power of mental models when he discussed coup d’oeil as a prerequisite to military genius in his book On War. Great military commanders intuitively understand the power of this idea and deliberately supplement their experiences with the practice of reading and reflection. They do not rely on the organization for development; they take their development into their own hands. The Pokémon Go phenomenon has given a new lease of life to the beleaguered Nintendo Corp., helped people rediscover their neighbourhoods and cities, and ensured ‘video game’ and ‘exercise’ can be used in the same sentence without any sense of irony. Its single biggest achievement, however, has been bringing augmented reality (AR) technology firmly into the mainstream. AR is a technology that allows for interaction between the virtual and physical worlds in a way that augments real-world experience by superimposing data on it. This data can be in the form of images, videos or text. While theoretically AR has been talked about for a while, it is only recently that it has reached a stage where it can be applied to real-world uses. Pokémon Go in this regard however, is the crudest application of AR. It has shown that AR can be commercially deployed on a global scale and can be integrated with current hardware. However, more and more technology companies are investing in developing more sophisticated AR. This becomes especially important for warfare in the near future. Militaries across the world have been talking about incorporating AR in their battlefield kits for a few years now. Such technology will essentially work the wayPokémon Go works. The only difference being that the Pokémon will be replaced by multiple data sets, including maps and satellite imagery, and the hand-held mobile will be replaced with a headset built into infantry helmets. Such use of AR will have a two-fold impact. First, the soldier on the field will have immediate access to a wide range of data, all within his field of vision. This will enhance the efficiency of battlefield operations and significantly reduce casualties. The soldier would not have to look down at a physical map or a hand-held computer, saving precious time in hostile areas. AR will also help identify incoming threats or weapon systems in real time, allowing front-line commanders to make quicker and more informed decisions. Second, the flow of information will not be one-way. While the soldier on the field will receive real-time information from the headquarters, he will also be able to relay back live data from the battlefield. This data would include information like GPS location, video feeds, a live count of ammunition, weapon systems being used by hostiles and the health status of individual soldiers. Like most every­thing today, the campaign was launched with a hashtag. But instead of promoting a new album or a movie release, #AllEyesOnISIS announced the 2014 invasion of northern Iraq—a bloody takeover that still haunts global politics two years later. Revealing a military operation via Twitter would seem a strange strategy, but it should not be surprising given the source. The self-styled Islamic State owes its existence to what the internet has become with the rise of social media—a vast chamber of online sharing and conversation and argumentation and indoctrination, echoing with billions of voices. Social media has empowered isis recruiting, helping the group draw at least 30,000 foreign fighters, from some 100 countries, to the battlefields of Syria and Iraq. It has aided the seeding of new franchises in places ranging from Libya and Afghanistan to Nigeria and Bangladesh. It was the vehicle isis used to declare war on the United States: The execution of the American journalist James Foley was deliberately choreographed for viral distribution. And it is how the group has inspired acts of terror on five continents. So intertwined are the Islamic State’s online propaganda and real-life operations that one can hardly be separated from the other. As isis invaders swept across northern Iraq two years ago, they spammed Twitter with triumphal announcements of freshly conquered towns and horrific images of what had happened to those who fought back. A smartphone app that the group had created allowed fans to follow along easily at home and link their social-media accounts in solidarity, permittingisis to post automatically on their behalf. J. M. Berger, a fellow with George Washington University’s Program on Extremism, counted as many as 40,000 tweets originating from the app in a single day as black-clad militants bore down on the city of Mosul. Media reports from the region were saturated with news of the latest isis victory or atrocity, helping to fuel a sense of the Islamic State’s momentum. There was no time to distinguish false stories from real ones. Instead, each new post contributed to the sense that northern Iraq had simply collapsed in the face of the isis onslaught. And then it did. Terror engulfed Mosul, a city of 1.8 million people. The 25,000-strong Iraqi garrison may have been equipped with an arsenal of American-made Abrams tanks and Black Hawk helicopters, but it was disoriented by reports of the enemy’s speed and ferocity. Already beset by low morale and long-festering corruption, it crumpled under the advance of a mere 1,500 isis fighters, equipped mostly with small arms. The Islamic State was left to occupy the city virtually uncontested, seizing vast quantities of weapons and supplies, including some 2,300 Humvees. In the abrupt surrender of Mosul and collapse of defending Iraqi forces, one could find echoes of the similarly shocking fall of France to the 1940 German blitzkrieg. The Germans relied upon the close coordination of tanks and planes, linked together by radio. Radio gave their forces speed—and also the ability to sow fear beyond the front lines. Narendra Modi’s hopeful journey towards normalcy with Pakistan has now collapsed tragically into blood and recrimination. Like that of his predecessors, Modi’s outreach too was rewarded by state-supported violence that stymied his rapprochement agenda. The recent Indian reprisals against terrorist launch pads were deliberately modest in their aims and execution, intended primarily to signal to domestic, Pakistani, and international audiences that New Delhi’s traditional restraint could not be taken for granted forever. The prospect of stronger Indian responses to future Pakistani terrorism, however, naturally exacerbates international fears of war—even nuclear war—in the subcontinent. But the prophylactic to further conflict has always been clear, even if seemingly beyond reach: The Pakistan army must stop supporting terrorist groups as part of its confrontation with India. It is sometimes argued in the West—as George Perkovich and Toby Dalton have recently done—that “India cannot reasonably expect that Pakistani authorities will be willing and able to destroy groups such as (Lashkar-e-Taiba), and simultaneously eradicate the numerous militant groups that now threaten the internal security of Pakistan more directly”. Rawalpindi has long offered such rationalizations in response to foreign démarches (especially those by Washington), but these cannot disguise the fact that its current problems with firefighting emerge from its own continued flirtation with arson. Letting go of the terrorist groups it has spawned over the years is presently less a function of inability than it is a deliberate choice. If the Pakistan army’s reluctance to move against outfits such as the Haqqani network, Lashkar-e-Taiba, Jaish-e-Mohammed, and Hizbul Mujahideen were rooted in operational overextension, these groups would not continue to enjoy the financial subsidies, targeting assistance, and operational backing—under the generally directive, but also occasionally detailed, control—of the Inter-Services Intelligence (ISI). In fact, when the Pakistani military wanted to, it moved against internal enemies with remarkable alacrity: Recall how former President Pervez Musharraf targeted numerous sectarian groups despite the army’s substantial commitments along the western border following 9/11. In other instances, Rawalpindi has used lethal covert methods to neutralize sub-state challengers with minimal consequences to public order—as long as it perceived clear benefits to its parochial interests. If various terrorist groups and their insurgent affiliates, such as the Afghan Taliban, are protected as a matter of state policy today, it is not because the Pakistan army fears internal chaos or organizational overstretch. Rather, the “deep state” sees them as prized instruments in its irregular wars against Pakistan’s neighbours and, hence, is even willing to risk the internal blowback that episodically ensues from such a strategy. This conduct, Zalmay Khalilzad recently concluded, arguably justifies Pakistan’s “inclusion on the State Department’s list of state sponsors of terrorism”. Furthermore, whatever its originating resentments may have been, Pakistani terrorism today aims to secure larger strategic objectives rather than remedy specific grievances. The Pakistani support for the Afghan Taliban and the Haqqanis, for example, is no longer about protecting Pashtun enfranchisement in Afghanistan, but ensuring the permanent geopolitical subordination of Afghanistan to Pakistan. China in 2016 is estimated to grow at 6.6 per cent, the United States of America at 1.6 and India at 7.6. The only similarity that most see between the US and India is that India is the world's largest democracy and the US is the second. Going further, they are perhaps the two most diverse nations in the world, in the number of races, religions, and languages. The US got that way by immigration and then by birth. China is an autocracy with a more homogeneous population. We like to think of our youthful population as a potential for economic dividends in future years but are investing little for its development. The corporate sector in all three countries is overleveraged with debt, as is the household sector in the US, but not so far in India and China. Inequalities in income and wealth in all three populations are high and rising. India is more dissimilar to the others. The International Monetary Fund estimated the 2016 gross domestic product of the US to be 18,558,129 in international dollars, that of India to be 8,642,758 and that of China to be 20,853,331. India's GDP is much smaller, and even smaller in per capita GDP than the US, with its much smaller population, and China, which has a relatively static population. In the last two years, India's growth has outstripped that of most other countries, including the US, and is higher than China's recent declining growth rate. The composition of the GDP is also different. Industrial production in 2014 was 24.2 per cent of GDP in India, and 43.9 in China. Industrial production grew at 6.3 per cent in China, the US 1.1, and India at minus 2.4. We are far from being an industrial economy and getting there very slowly. This structural difference between India and the other two is likely to limit general prosperity till more Indians move from occupation in agriculture to industry and services. Services as a percentage of GDP were 43.8 in China and 56.9 in India, but more people in India are in services that need few skills and are therefore poorly paid. Agriculture in the US contributed 1.12 per cent, China 9.1 and India 25.8, with most people dependent on it, leading to poor per capita incomes. Indian agriculture is also inefficient, with yields of most crops lower than that of most Asian countries. The shares in GDP are not reflective of relative outputs. For many years, Afghanistan was stuck in a stalemate: the Taliban were not losing and the Afghan government was not winning. Judging from the daily reports coming from Afghanistan, especially during this past year, one can’t help but infer that the Taliban are now on a winning streak. Part of this shift is a result of the NATO drawdown, since Afghan security forces on their own are not able to counter the jihadist insurgents. Since the United States is not going to deploy the forces needed to reverse this trend, we have to begin considering a scenario in which the Taliban could overwhelm the Afghan state. On Oct. 8, the commander of U.S.-led NATO forces in Afghanistan, Gen. John Nicholson, along with Afghanistan’s defense minister, Gen. Abdullah Habibi, and interior minister, Taj Mohammed Jahid visited Lashkar Gah, the capital of Helmand province. Nicholson reportedly said that Afghan security forces supported by NATO troops foiled Taliban attempts to gain control of large cities in various provinces. But this visit comes at a time when the Taliban have taken control of half of the 14 districts in Helmand and the jihadist movement enjoys a great degree of influence in the remaining seven. The provincial capital faces the possibility of falling to the insurgents, who are attacking from at least three directions. The situation in Helmand is understandable – considering that it is a major part of the Taliban’s core turf in the south. As we explained in our Sept. 15 Deep Dive the Afghan security forces are struggling against Taliban militiamen across the country and in areas dominated by ethnic minorities (Tajiks, Uzbeks, Hazaras, Turkmen, etc). 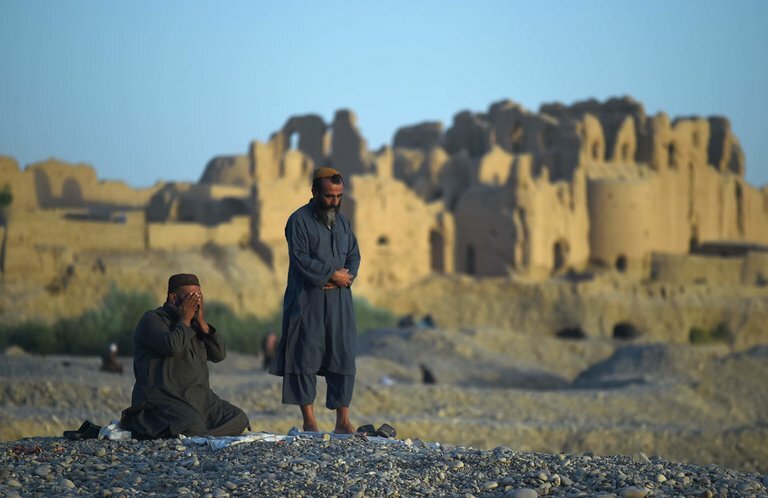 Last week, Taliban fighters seized control of many parts of the northern city of Kunduz for the second time in almost a year and according to the latest reports they have not been fully dislodged from the city. Even pushing them out of the city wouldn’t be considered a huge success because the Taliban control much of the province, also called Kunduz. The Taliban have actually been gaining ground in many provinces that share a border with Central Asian nations. On the same day that Nicholson visited Helmand, dozens of Afghan security forces surrendered to the Taliban at a base in the Morichaq area of Bala Murghab district in Badghis province, near the border with Turkmenistan. According to reports, the Taliban are eyeing the southwestern province of Farah (along the border with Iran) where there has been an increase in fighting. In another noteworthy development, Afghanistan’s private TV channel Shamshad reported on Oct. 6 that the Taliban have managed to penetrate the Hazara Shiite community in Bamyan province, where they have established a branch. KABUL, Afghanistan — On this day 15 years ago, the United States began a costly war in Afghanistan that in several ways is more grim now than ever before. Now, even as the European Union is preparing to send tens of thousands of Afghan migrants back, war, intimidation and dislocation are a daily reality for many families in Afghanistan. With the American military presence down to less than 10,000 troops in Afghanistan, the Taliban are again seizing large stretches of territory. And the hope that the Afghan security forces, trained and funded by the United States, could keep at least major cities safe from the Taliban is crumbling. Here are accounts from a few of the Afghans caught up by the war, translated and edited for clarity. Samim Rahimi, 19, is a second-year pharmacy student in Kunduz and a part-time pharmacist at a private clinic. As thousands of people fled the Taliban assault this week, his family of 10 decided to stay. The Taliban came suddenly and fighting was street-to-street from that first day. There are lots of army soldiers in the city also. People are caught in the fighting. .. This is our city, our home. No one thought the city would fall to the Taliban. But now no one — neither the government nor the Taliban — guarantees that the clinic will not be burned or looted. It points the way to Facebook's ideal future: A world where everybody's connected to the internet, where we talk to artificially intelligent computers as if they were human, and — boldest of all — where virtual reality goggles are as common as our smartphones, allowing us to connect with people across the world as intimately as if they were in the same room. Just this week, Google held its own big event. And while that presentation was ostensibly to introduce new hardware, it also gave us a glimpse of how Google is thinking about its own future — and the ways in which Facebook's 10-year strategy overlap with Google's. Their core businesses couldn't be more different — Facebook's efforts to break into search haven't yielded much result; Google's attempts to become a social network are pretty much Silicon Valley punchlines at this point. Last week in Afghanistan, the Taliban, once almost lacking a presence in the northern part of the country, attacked Kunduz, a northern provincial capital and held parts of it for days (as they had in 2015). At the moment, that movement also has two southern capitals under siege,Tarin Kot in Helmand Province and Lashkar Gah in Uruzgan Province, and now seems to control more territory and population than at any time since the U.S. invasion of 2001-2002. Mind you, from an American perspective, we’re talking about the war that time forgot. Amid the hurricane of words in Election 2016, neither presidential candidate nor their vice presidential surrogates has thought it worth the bother to pay any real attention to the Afghan War, though it is the longest in our history. It’s as if, 15 years later, it isn’t even happening, as if American troops hadn’t once again been ordered into combat situations and the U.S. Air Force wasn’t once again flying increased missions there. Of course, it wasn’t supposed to be this way, not for the planet's “sole superpower,” its “hyperpower,” its last remaining “sheriff” bestriding the globe with military bases in close to 80 countries, its Special Operations forces in almost 150 nations annually, and its Navy’s 10aircraft carrier battle groups patrolling the seas. On paper, it’s been a hell of a new century for the United States. Only reality, it seems, has begged to differ. Before we begin this week, I have a quick language lesson for you. For me, it perfectly describes how the mainstream media cover geopolitical issues—a paper forest of contradictory signs that confuse you about where the road ahead leads. And now, let’s return to This Week in Geopolitics. In recent weeks, I have been focused on the intensifying instability in Europe and Asia, and the similarities between this decade and the decade before World War II. Conflict has many origins, and the desire of soldiers, politicians, and economists to believe that their field holds the key to war and peace is both natural and wrong. The origins of conflicts are complex, and all of those fields contribute. I have spent a great deal of time writing about the global exporters’ crisis, which was triggered by 2008 and is still underway. It has created instability from China to Saudi Arabia, Russia, and Europe. This crisis has contributed greatly to the chaos, but it is not the sole cause. Classical economics argues that as capitalism matures, competition causes both wages and profits to decline. Wages decline because the early successes of capitalism cause more workers to compete for jobs in growing industries, and profits decline because the increasing entries of businesses into markets cause business failure. Each economist puts it differently, but this is the essence. Karl Marx gave the answer… but he didn’t see that it negated his theory. He argued that under capitalism, the means of production are constantly revolutionized—technology is constantly improving. As old industries decline and workers become unemployed, new technologies arise, rates of return on capital surge, and workers’ wages rise. In other words, the idea of a single economy is an illusion. The economy is segmented. While some industries decline, new industries emerge, and those new industries begin with much higher wages and rates of return on capital. So there’s no revolution, just the constant ferment of innovation. What makes this possible? Improvements in technology, coupled with the new methods of production, distribution, and organization that they trigger, lead to increased productivity per worker. As productivity rises, profit margins increase and wages increase as well. There are always emerging and declining industries in capitalism. Without this rotation between the two, I suspect capitalism would fail. But that rotation does take place. So periods of stagnation, declining wages, and weakening profits occur, but innovation (normally, a set of innovations) increases productivity. Summary: India’s states traditionally haven’t played any significant role in the formulation of foreign policy, but this may be changing. Happymon Jacob is an associate professor of disarmament studies at the School of International Studies of Jawaharlal Nehru University. India’s states traditionally haven’t played any significant role in the formulation of foreign policy, but this may be changing to some degree. Economic liberalization and the emergence of coalition governments in New Delhi have created an environment conducive for states to proactively engage the central government on foreign policy issues that affect their interests. Prime Minister Narendra Modi has realized the necessity of getting the country’s regional governments on board with his foreign policy endeavors, but efforts to make good on this vision have had limited success. New Delhi needs to institutionalize the legitimate foreign policy role that Indian states are starting to play so that they can put forward their views in a constructive manner. In recent years, Indian states have begun playing a larger role in foreign policy than they previously did, due to the country’s economic liberalization and the rising influence of regional political parties. The current government led by Prime Minister Modi has been more accepting of states playing a role in foreign policy than past administrations. It seems to view such engagement not as a negative form of interference but as a useful asset for pursuing the country’s national interests abroad. The creation of the States Division within the Ministry of External Affairs is indicative of this new willingness to mainstream regional voices on foreign policy matters. Most of those recruited by the Quds Force come from Afghanistan and many are sent to camps in Iran for training. But the Iranian network has also mobilized fighters from the Shiite minority in Pakistan. This shadow army has suffered immense losses -- their families receive paltry compensation and a flag, but fresh recruits keep on coming. At least for now. In the end, all of the strands come together in Iran -- or, to be more precise, at Quds Force commander Brig. Gen. Ghassem Soleimani, a man who likes to pose as a pop star of war, having his picture taken on the frontlines with a keffiyeh thrown casually across his shoulders, his graying beard carefully trimmed. There is only one country from which volunteers are not recruited: Iran itself. Losses from among the Iranian population could upset the country's apathy. The situation in Syria is made even more complicated by the fact that two proxy wars are being waged on the same territory. The more visible of the two is that between Russia and the West. But the structurally more meaningful proxy war is that being waged between the Shiites and the Sunnis -- and between their protector states Iran and Saudi Arabia. Saudi Arabia, Qatar and the other Gulf states are on the side of the Sunni opposition. But Saudi Arabia has a problem: Its military has little capacity for involvement in Syria because it is engaged in a second, more important proxy war with Iran. That war is taking place right next door in Yemen -- and things aren't going well for the Saudis. For the last one-and-a-half years, the Saudis have led a military alliance that has been unable to defeat the Shiite Houthi rebels. As such, it was hardly surprising that nothing came of Saudi Arabia's announcement last February that the country was prepared to send ground troops into Syria. The Saudis also failed to follow up on their pledge to supply the Syrian opposition with mobile surface-to-air missiles. Still, the kingdom did make a military base available to the US where moderate rebels were trained. The most important American air base in the region, Al Deid, is in Qatar, from which attacks in the region are coordinated. Nor does it make sense to expand our enemies list in that bleeding and broken country — from ISIS and the al-Qaida-linked al-Nusra Front — to Syria’s armed forces, Russia, Iran and Hezbollah. These last three have been battling to save Assad’s regime, because they see vital interests imperiled should it fall. Russia is also moving its aircraft carrier, Admiral Kuznetsov, into the Med. Vladimir Putin is doubling down in Syria. How Do The United States And China Compare? In the minutes of its June 14 - 15, 2016, meeting, the Federal Open Market Committee stated that "continued uncertainty regarding the outlook for China's foreign exchange policy and the relatively high levels of debt in China and some other EMEs [emerging market economies] represented appreciable risks to global financial stability and economic performance." It is now widely acknowledged that China has become a key player in the global economy. This article completes a three-part series on China and international trade. Unlike the two previous articles, this last one compares China's and the United States' trade relationships with other countries. The first part of the article looks at the percentage of Chinese and American imports and exports from the perspective of approximately 190 countries over time, and the second part looks at the types of goods traded. A lot has changed since the former Chinese premier Zhu Rongji pointed out in 2001 that "although China and the United States are competitors, China and the United States are indeed partners in trade." Map 1 offers a descriptive picture of the amount of goods that countries around the globe sent to the United States and China in 1980, 1990, 2000, 2003, 2007, 2010, and 2014. Once again, we chose the years 1980, 1990, 2000 as decade-change indicator years; 2003 is a couple of years after China joined the World Trade Organization; 2007 is right before the Great Recession; 2010 is the year following the end of the recession; and 2014 is the last year for which revised data are available. Twardowski begins his substantive case with the argument that if Russia truly feared NATO because of the alliance’s allegedly belligerent actions “then it makes no sense from a realist perspective that U.S.-Russian relations warmed at all following the Soviet Union’s disintegration.” That is a puzzling argument. Moscow clearly hoped for a new, united European security architecture in the years following the demise of the Soviet Union. It was only when NATO intervened in Bosnia in 1995 (some four years later) and idle talk about expanding the alliance eastward turned into an actual offer (three years after that) that Russian suspicions about Western, especially U.S., intentions became prominent. Throughout the piece, Twardowski states or implies that Russian hostility toward NATO is a new phenomenon, basically dating from 2014 and the crisis over Ukraine. Nothing could be further from the truth. I encountered numerous Russian diplomats, journalists, and scholars during the mid-and late 1990s who were mystified and resentful at the U.S. decision to expand NATO eastward—in violation of what they regarded as a solemn promise not to do so. They were even angrier about the U.S.-led military interventions in the Balkans, a traditional Russian sphere of influence, in support of anti-Slavic factions. Although Russian leaders complained about such matters, Russia was simply too weak to do anything about it except issue impotent protests. During the Kosovo intervention, however, the commander of British forces worried that the United States was pushing Russia too far. He directly disobeyed a direct order from NATO Supreme Commander U.S. General Wesley Clark to attack Russian military personnel at Pristina airport, saying that he wasn’t about to start World War III. That was a strange fear if the Russians didn’t care about NATO’s actions. In early 2016, the Federal Bureau of Investigation reportedly paid more than $1.3 million for a software flaw that allowed it to unlock an iPhone without Apple’s assistance. The purchase was possible because there is a market for previously unknown vulnerabilities, often referred to as “zero-days” because the vendor has had zero days to patch the vulnerability. Estimates of the size of the market vary widely, but its operation affects the security of individuals, companies, and governments. When hackers and security researchers find a software flaw—also known as a bug—they can exploit it by creating software or sequencing commands that take advantage of the vulnerability, reveal it publicly, disclose or sell it to the software vendor as part of a bug bounty program, or sell it to a third party such as a criminal network, broker, defense contractor, or government agency. When governments acquire zero-days, they have similar choices: reveal the flaw or choose to keep it secret, building a stockpile for intelligence gathering or offensive operations. There has been a growing debate over the role the U.S. government could and should play in the zero-day market.Some experts have suggested that the federal government corner the market, purchasing all known zero-days andrevealing the vast majority of zero-days that it buys or discovers. Others want to regulate the market and make the sale of zero-days to bad actors illegal. Attempts to either monopolize or restrict the zero-day market to specific actors are, however, likely not only to fail but also to undermine security by handicapping legitimate research. Instead of overreaching to regulate the entire zero-day market, the U.S. government should create incentives for individuals, companies, and governments to find software vulnerabilities, publicize, and patch them, and thus reduce the risk of attack. The U.S. government should expand exemptions for security research under criminal and copyright law, promote secure software engineering early in a product’s development, and expand bug bounty programs throughout the federal system. What would an independent Cyber Command look like? This is Part II of a four-part series on the underlying issues surrounding the potential split of the NSA and Cyber Command. Top decision-makers in the government continue to debate the merits of splitting the National Security Agency and US Cyber Command. If this divorce occurs, what would an independent CYBERCOM look like? One of the important issues surrounding the debate are skills and resources. The personnel at NSA have benefited from more than 50 years of expertise in signals intelligence collection and operation, making the marriage with CYBERCOM an attractive option. Part I: What would a CYBERCOM-NSA split mean? However, these skills take a long time to learn and develop, and some don’t believe the current military architecture suits fostering these technical proficiencies. A former NSA worker, who spoke to C4ISRNET on background, believes the current framework is not serving the intelligence community — the NSA — or CYBERCOM as well. The skills necessary for the intelligence and technical know-how involved in cyber operations is far more intensive than what the current military billets and rotations allow for, the source said. Military analysts typically are trained in a particular skill set and are sent to a duty station, which usually lasts for about three years. When looking at cybersecurity and warfare, one must train analysis in normal mechanisms of intelligence and technical tradecraft of cyberwarfare, the former NSA worker added, noting that it is difficult to train someone to a high level of ability in three years. What would a CYBERCOM-NSA split mean? As the “only service with a cyber branch,” Army Cyber Command has seen “stunning changes” on its way to a full range of offensive, defensive and brigade network operations, according to ARCYBER Commander Lt. Gen. Edward Cardon. Cardon pointed to an increasingly contested environment in the network, ground zero for Army cyber operations as the command works to extend cyber support to the corps level and below. Already soldiers are stationed in the theater, creating battlefield effects through cyber capabilities, Cardon added. But it’s not as simple as sending a cyber specialist into the field. SpaceX founder Elon Musk recently laid out an ambitious plan for colonizing Mars. Whether or not Musk's plan is viable, the fact that it exists raises important questions about the future of private enterprise in space. The international community is divided over what private companies and individuals should be allowed to do beyond Earth's atmosphere. In particular, the United States government is concerned that private space companies could compromise national security, and these worries may interfere with private efforts in space. That's why it's important to emphasize that commercialized outer space can also enhance national security. Take commercial space-launch services, such as those offered by Blue Origin, Orbital ATK, and Musk's SpaceX. The capabilities provided by innovative, cost-effective launch services, if allowed to develop more or less freely, will benefit America's national security. However, to enjoy the full value of these services, the U.S. government must not stand in the way of their development. National security will be best served if the government promotes an active, dynamic market that serves commercial interests and avoids a nearsighted, risk-averse idea of its security interests in space. The military and intelligence communities rely on satellites for coordination, communication, and reconnaissance. For a long time, the United States did not have to worry very much about satellites once they got into orbit. Today, however, there is a growing number of countries with active and burgeoning involvement in space operations. Potential rival powers are looking at America's satellite constellations as a vulnerability to exploit. There are serious concerns that, in a security crisis, a sophisticated country could destroy or degrade America's space capabilities. In a world where cyber is part of virtually every operation, the military is working to determine how it fits in and works best with a close, but very different, capability: electronic warfare (EW). To that end, Pentagon leadership recently established a new cyber directorate within the Army’s Office of the Deputy Chief of Staff, G-3/5/7, headed up by Brig. Gen. Patricia Frost. The new cyber directorate folds in the Army’s former EW organization, encompassing in one office cyber, EW and information operations. Don’t let the organization’s name fool you – all three are equally critical, Frost said in a recent interview with C4ISRNET Editor Amber Corrin. C4ISRNET: How did this organization come to fruition? What led to its establishment? Frost: I always believe you should organize how you fight, especially if you’re working in [operations]. And we should be, even at the departmental level, replicating what we are actually trying to employ into our war fighting force. So when we deploy, we are multifunctional teams. People hear that you’re under a cyber directorate, so that means EW and [information operations, or IO] don’t matter. But we say that as a term of that’s an umbrella that encompasses all three. That doesn’t resonate well if you’re an IO officer or an EW officer, so I recognize that I’m going cross-culture. But cyber resonates if you’re meeting members of Congress, if you’re having meetings with [the Office of the Secretary of Defense], or the Joint Staff. Army Cyber Commander [Lt. Gen. Edward Cardon] is organizing operationally to synchronize and integrate not only cyberspace operations, but EW and IO. So where was that one-stop shop at Department of the Army? That didn’t exist. If you go back in time to the [Department of Military Operations] aviation model … it was the aviation community that saw that they had requirements. They had programs and initiatives, and they didn’t have a lot of expertise that resided in the building to understand some of those critical capabilities and requirements that they were trying to get pushed through the Army staff. Just talking about flight training, flight hours and things that were unique to pilots; medical, talent management, how do you retain a pilot force? So that was somewhat of the model that Gen. Cardon and I discussed with [Lt. Gen. Joseph Anderson, deputy chief of staff, G-3/5/7] to say there’s not a lot of depth on the Army staff that understands. Even though IO and EW have been around for a long time, now how are we going to synchronize this into fighting wars of the future? Rapid capabilities offices, incremental investments, and a wave of public entrepreneurship may signal some needed cultural change. Egypt is getting more MRAPs. As Defense Industry Daily reported Wednesday, the US Defense Department is sending a second batch of surplus armored vehicles—to match the 762 already sent—“to equip Egyptian soldiers tackling Islamist militants in the Sinai desert.” That’s an urgent shipment to meet an urgent problem, but similar needs haven’t always been met that way. Indeed, it’s notable that the announcement comes ten years to the month after the MRAP became a program of record for the Pentagon. That was at least a year—if not two—after it should have become one. Whatever the case with the Egyptian Army, one might say that the Pentagon’s track record here is not sterling. Several events over the past two months, however, have me hoping that stronger efforts to more rapidly remake the military are underway. After last week’s Association of the United States Army (AUSA) show in Washington DC, Atlantic Council member Byron Callan provided investors in the defense industry his take-away: lots of companies are making incremental investments in mostly-existing stuff. There were bold exceptions, such as Bell Helicopter’s tilt-rotor drone (though that is truly meant for naval applications). More common were some potentially genius mashups, such as the Humvee-with-howitzer from AM General and Mandus Group. That hip-pocket 105 mm cannon is meant mostly for foreign customers, but consider as well how well that kind of gear might suit the U.S. Marine Corps. That kind of line-extension, brand-building thinking was evident throughout the convention center. Any why not? The US military has some firmly established practices for buying stuff on fifteen-year timelines, but that’s not going to work in the short term. Moreover, the US Army’s procurement budget is one-fourth what it was eight years ago. Few forces overseas have much excess cash either. The US military can also get pretty good at handling urgent needs, when political leaders show some administrative courage and waive the right rules. All the same, overmatch with existing stuff is not what it once was, as shown by recent and demonstrated advances by the Russians in drones, electronic warfare, and air defense. There are even those possibly scary T-14 Armata tanks. So, having again run out of money—a decade after blowing through all its money on the never-fielded Future Combat Systems (FCS)—the service is resolved this time to do some serious thinking. In September Iran displayed Ghadr (Qadr) H IRBMs (Intermediate Range Ballistic Missile) and was described as its latest long range (2,000 kilometers) ballistic missile design. Ghadr H was apparently more accurate and reliable. Earlier in 2016 Iran claimed to have successfully tested two Ghadr H and proved that this missile had overcame the problem of IRBM accuracy. While Iran talks about IRBMs armed with nuclear warheads, it will be years before such a warhead is available. Meanwhile Iran has high-explosive and chemical warheads. These can be a threat to Israel if their warheads are accurate enough to hit targets like a nuclear power plant or the part of an airbase where the most effective Israeli warplanes are kept. Meanwhile Iran has been building fortified storage and launch facilities IRBMs outside Khorramabad (near the Iraq border in the Zagros Mountains). The first one was called the Imam Ali missile base and is run by the IRGC (Revolutionary Guard Corps) as are all things having to do with ballistic missiles and nuclear weapons. The IRGC is led by and largely composed of Islamic conservatives and radicals who see nothing wrong with committing national suicide by firing IRBMs at Israel and risking nuclear retaliation. Back in 2009 Iran got its first solid fuel IRBM (the Sejil II) to work. At the time Iran was discussing plans to build hundreds of Sejil IIs by 2015. This would include more mobile launchers for many of these for these missiles, to make them even more difficult for anyone to spot, and destroy. Solid fuel missiles are much more dangerous because they can be launched without much preparation. This is critical, as the older liquid fueled missiles take hours to prepare for launch, and spy satellites pass over Iran frequently enough to spot this. At the time Iran already had some liquid fueled IRBMs and production of these stopped once a solid fuel design was ready. There was no mass production of Sejil II either, mainly because of the lack of a nuclear warhead and thus the need for a more accurate guidance system to make non-nuclear warheads effective. That development process also caused the improved Sejil II to be rebranded as Ghadr H. Changing names like that is an Iranian thing that is mainly cultural. The collapse of U.S.-Russian diplomacy and the escalating atrocities in Aleppo have once again opened the floodgates for ideas on how to intervene in Syria. These ideas are all familiar: typically some combination of no-fly zones, air strikes, and arming the opposition. The goals range from civilian protection, to evening the balance of power to facilitate diplomacy, to toppling the Assad regime by force. It may seem odd that these proposals have changed so little over the years despite having failed to persuade previously and despite the dramatic evolution of the Syrian conflict. This is confusing only if evaluated from the starting point that the purpose of these ideas is primarily to end the Syrian war or to reduce human suffering. For the most part, it is not. While some surely believe that intervention would reduce the immediate killing or force the Assad regime to engage in more serious negotiations, this is a far cry from ending the war. Limited intervention will run aground of the war’s basic strategic structure. Since the peaceful uprising of 2011 gave way to an externally armed insurgency in early 2012, Syria’s war has been one between a central government drawing on the focused military support of Russia and Iran, and a fragmented, multipolar insurgency drawing on a diverse range of external sponsors. Thousands of insurgent factions compete with each other for external support from Saudi Arabia, Qatar, Turkey, Gulf religious networks, and the United States. Any advance by one side is quickly matched by external supporters of the other: Rebel advances invited Hezbollah’s, Iran’s, or Russia’s direct entry into the fray, while Assad’s advances invited increased flows of arms and aid to the various rebel groups. Reflecting back over the course of more than three decades of wearing the uniform of a United States soldier, I remain humbled and in awe of the outstanding soldiers and civilians who comprise our force, thankful for the unique experiences and tremendous opportunities the Army afforded me, and deeply appreciative of a wonderful and loving family who supported and sustained me through it all. Forefront in my mind is the state of the Army profession. Since receiving my ROTC commission from Virginia State University as a second lieutenant in May 1980, the Army has faced unprecedented challenges and uncertainty around the globe. I am always amazed, but never surprised, at the way our soldiers rise to every challenge and remain adaptable and agile in an ever-changing, dangerous and highly complex world. Today’s Army is the most lethal, best-trained, best-led, best-equipped, and most powerful fighting force the world has ever known. Unwavering for more than 241 years at its core, is the United States soldier. Our soldiers are experts and professionals. Warriors. Guardians of freedom. Selfless servants for the nation. Putting on the uniform, they lay aside personal ambitions, political inclinations and past experiences, focusing instead on the mission and their team. They are resolute in their loyalty, steadfast to the cause of freedom, and refuse to be shaken in the face of adversity, uncertainty and fear – willing to give their very lives, if necessary, in defense of our nation.